WYSO in Yellow Springs, Ohio, will become an independently owned and operated nonprofit under a $3.5 million agreement with its college licensee. Miami Valley Public Media, the nonprofit to be led by WYSO GM Neenah Ellis, has raised $3,415,000 of its payment to Antioch College. According to a press release announcing the agreement Thursday, the campaign is on track to reach its goal before March 31, the target date for the station to begin operating under new ownership. As fundraising goes into the final stretch, WYSO has pledged to direct additional funds to support the ownership transition and provide a financial cushion. Ellis said her team hopes to raise up to $350,000 beyond the $85,000 needed to fulfill the agreement. The $3.4 million raised so far includes a $2 million pledge from a single donor. Antioch College, a private liberal-arts school, reopened in 2011 after its parent Antioch University had shut down the campus. The college purchased WYSO’s license from the university in 2012 for $8 million. Discussions about WYSO’s relationship with Antioch have been open and frank for several years, Ellis said, but last year college leaders began working with her to plan an ownership transition. In a news release announcing the agreement, Antioch President Tom Manley said the college never considered putting WYSO’s license up for sale on the open market. WYSO’s staff has raised funds for the purchase without the help of consultants or a feasibility study, Ellis said. Development Director Luke Dennis developed a strategic plan for fundraising. “We couldn’t have done this if he didn’t know our donors so well,” she said. “The assignment of the license permits both organizations to pursue their respective missions, while continuing to maintain the very healthy strategic partnership they have nurtured,” Manley said. WYSO’s path toward independence has been relatively smooth compared to other public radio stations whose university owners moved to sell their licenses. KNKX in Tacoma, Wash., for example, gained the opportunity to become independent from its university licensee only after a community backlash disrupted a proposed merger with KUOW in Seattle. In Ohio, several universities have sold or restructured their public radio stations, in some cases putting them up for bid on the open market. In 2017, Northern Kentucky University sold WNKU, which had attempted to reduce its reliance on subsidies by expanding its broadcast reach into southwestern Ohio. WMUB in Oxford, a news station with seven full-time employees, became an unstaffed repeater station in 2009 after Miami University cut off funding to the station. And in 2005, Xavier University sold Cincinnati’s WVXU for $15 million to WGUC, a public radio station that restructured as dual-station operator Cincinnati Public Radio. Ellis does not expect major staffing or programming changes as part of the transition. 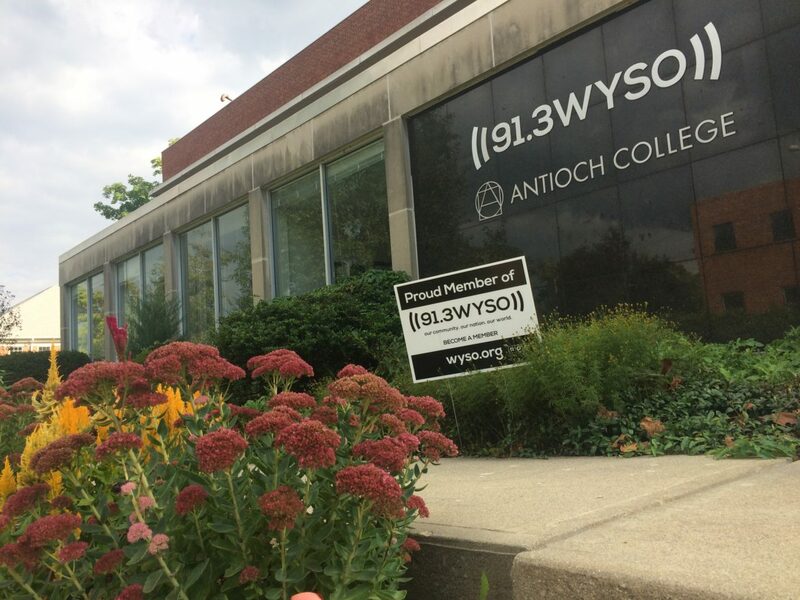 WYSO will continue to operate from its headquarters on Antioch’s campus. The nonprofit and college are still negotiating a collaboration agreement, which will include a lease and terms defining the station’s working partnerships with the college moving forward, Ellis said. Antioch students work as interns, and the station offers a radio training class that is free for students and faculty. WYSO staffers also conduct oral history interviews during the college’s reunion weekend. Under an independent nonprofit, WYSO will gain “financial autonomy” and more flexibility in hiring, Ellis said. Independence also will provide new opportunities for WYSO to partner with more organizations and public radio stations in the region, Ellis said, because she and her staff will spend less time managing relationships on campus. The awards were given at the Public Radio Super-Regional Meeting.